A toilet needs to have the ability to do three things: first, it must be a flushing machine; second, it must be waterproof, clean, and hygienic; the last one must be strong. . Because people are sitting on the toilet, and some people are very heavy. Porcelain has already met the above three needs. For most users, the toilet must be a very effective, waste cleaner. Water tanks, valves, overflow pipes, sewage pipes - these are all fine. It contains a lot of intricate engineering applications. A glass-like ceramic toilet is made of clay and water. 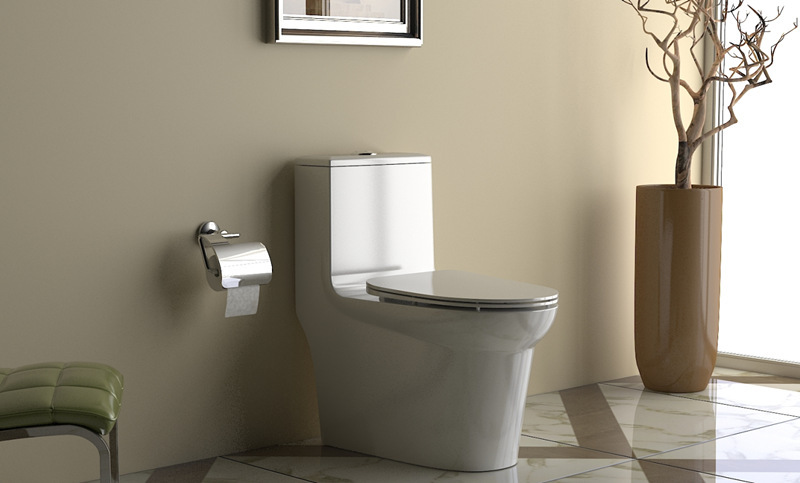 The process of producing a toilet includes blank manufacturing, blank molding, and porcelain sintering. These processes are relatively simple and cost-effective. Another factor is durability. We all need to squat the toilet - when we lick the toilet, it is best not to leak, or spray something. Porcelain with super durability is very strong and stiff. This plastic can not be guaranteed. If you are a thin, normal person, you may not feel this deep, but for an overweight person, if he/she makes a hard landing every time the toilet is made, the toilet is a durable item. It is conceivable that, over time, plastic materials will surely become curved under the strong impact of an average of one or two times a day. This is a very important user experience. Porcelain is also very waterproof. This may sound simple, but porous materials can not only contain water, but also provide conditions for bacterial growth. Therefore, it is very important that the work such as the toilet is specially used to clean waste, and the work is not affected by bacteria and water. Then the secret of porcelain waterproofing is glaze. As with the manufacturing process mentioned earlier, the glaze allows bacteria and water to stay on the outer surface of the glaze, which is also easy to clean. Porcelain has been the first choice for toilet materials for many years, and it is really impressive. Everyone in the world may use a toilet differently, but the same thing is that it must be comfortable and clean.